Bring back the old WWF!!!!!! WWF was tons of fun. The new version is such a nightmare that I will drop it if you won’t allow me to disable all those stupid time consuming and useless **** things like easter eggs, claim rewards, forcing play with cartoons and all those other idiotic things. I am an adult and all I want to do is play the fun word game the WWF used to be. What is wrong with you people at Zynga??? Are you captioning our profiles to sell to targeting advertizers? Well it won’t work. Android V10 has NONE of those annoying features, and I would recommend it to anyone that wants to play the simple, basic game. Thank you, Paul but I am an Apple Gal. I agree that the ads are terrible. 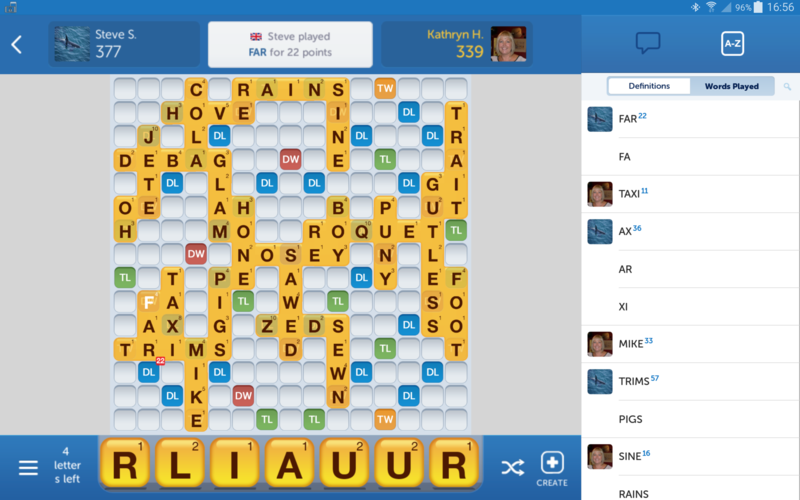 If playing against some one with the fisrt wwf they get impatient because they dont have the ads. Why mess with something that wasnt broken. Not only are the ads irritating they are often times offensive. Why do the think we should be interested inads of their choice. I am seriously considering not playing anymore as long as ads are there. Also I have heard you can pay $30 and get ad free. People who have paid this STILL get ads. Some of the other games have ads but they only come up ever once in a while not every play.